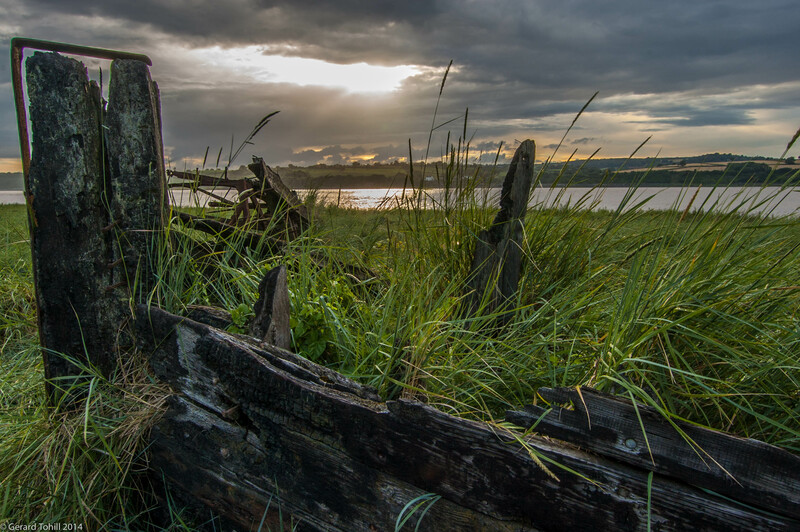 If you get the chance, head down to Purton in Gloucestershire and take a look around the decaying barges, covered by mud and grass over the years, and now part of the riverbank itself. It makes for a decent walk, and good photography. I have been tidying up my old photos – this was taken in 2013 on an evening trip down to Purton, which was well worth the drive. I’ve learned a lot since then, one of the most important lessons is that you can pull an extraordinary amount of shadow detail froma raw camera file (I use Lightroom) even on a file from my trusty old D40. You have to be careful on the D40, it’s easy to overdo it and generate a lot of noise. It is, however, a much simpler task on more modern cameras, meaning I can confidently expose for the highlights knowing I can pull out the shadow detail. That said – if you have to do this then my advice is bracket. You will have driven many miles for these images – take no chances. Two years ago, I’d have used HDR to get the exposure in the final image – nowadays, I rarely do so.